← [Site News] Be Back Soon! This June one of Nu-Disco, House and SynthWave’s most ubiquitous and well respected figures Freak You unleashes his swansong, a massive Pop House tune titled There You Are. Assisting him in rocking your world is London ElectroPop superstar Bright Light Bright Light. Fresh from I Wish We Were Leaving, his collaboration with Sir Elton John, BLx2 is the icing on this deep and infectious House monster you’re sure to be hearing a lot of over the Summer. The release comes full to bursting point with some of the hottest reMix talent around. Deep, floorfilling club sounds provided by Edwin Van Cleef sit next to lush and emotional retro SynthWave from Starcadian, while Cosmonaut Grechko transports us back in time with a classic early 90s House tune and She’s The Queen take us straight to the big room. 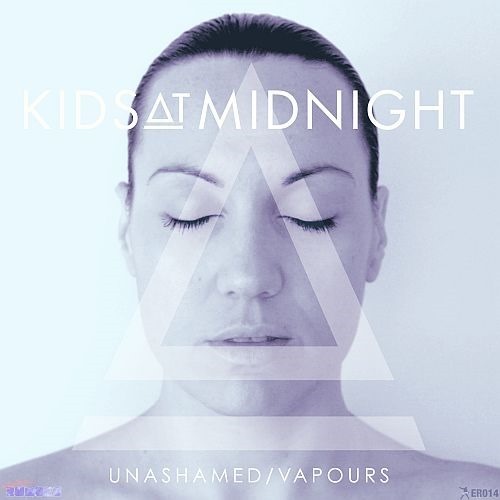 Kids At Midnight is Australian songstress singer/songwriter/producer Jane Elizabeth Hanley. KAM hit a chord with fans on the Let You Slide EP on Alan Braxe’s Vulture Music label, a collection of lovestruck synth based electro ballad romanti-jams. “The Kids At Midnight sound…it’s a bit electronic, it’s a bit pop, it’s a bit nerdy, but it’s honest. One guy told us it made him want to take his pants off and dance…that’s sort of all you could wish really!” Receiving had music featured on MTV’s Jersey Shore, and Showtimes ‘The Real L Word’, Kids At Midnight is ready to bring the next phase of deep soulful grooves a worldwide audience. Jane Elizabeth Hanley has also worked heavily as a singer/songwriter with other artists, releasing the much loved cover of Phoenix’s Lisztomania with Edwin Van Cleef and collaborations with producers the likes of Ride The Universe, Quinten 909, Error Operator, Cryptonites and Futurecop! Formed after the success of the ‘electronic rumors volume 1’ compilation (released in association with Ninthwave Records as a boutique electronic music outlet concentrating on quality over quantity, developing artists and releasing some of the best synthesizer music around.